US President George W. Bush is the most unpopular president in US history among American citizens, a new poll by CNN suggests. Some 76% of respondents disapproved President Bush's job in the White House as he leaves office on Jan. 20, a CNN/Opinion Research Corporation poll said on Monday. "No other president's disapproval rating has gone higher than 70 percent. 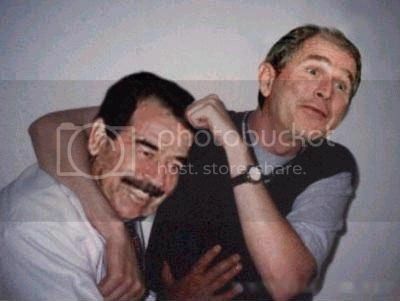 Bush has managed to do that three times so far this year," CNN polling director Keating Holland said. "That means that Bush is now more unpopular than Richard Nixon was when he resigned from office during Watergate with a 66 percent disapproval rating," he added. The record holder for presidential disapproval before Bush was Harry Truman, with a 67% disapproval rating in January of 1952, his last full year in office. The poll was conducted Thursday through Sunday with 1,246 adult Americans questioned by telephone. Now how will Barky rank? The assassination of JFK was also the death of this country. It doesn't matter if the Cookie Monster is the President, the status quo remains the same. Well, he has 70 days to climb out of 43rd place. I don't think he can do it unless he gives every US citizen $20,000 for Christmas. I would do it if I was the worst president ever. $20,000 times 300,000,000 people is only $6,000,000,000,000 (6 trillion). HE MIGHT MAKE IT INTO THE TOP TEN. Who knows, $50,000 for each of us might put him into the #1 spot. It's going to keep getting worse as the agenda follows. Obama will set a new record. This will not effect Bushmaster in any way, shape or form, he did his thing, and is walking away with billions and his power within the shadow Gov. is not finished. He Fu&*ked us and will walk away with a grin. He is a sociopathic freak. One fine day I saw him declare the creation of Homeland Security, he couldn't stop giggling, as though he was mocking the moronic masses. He won. That is all he cares about.